From the halls of Congress to the community centers in our smallest towns, America was and continues to be built by the participation of its people. Wallace H. Coulter Unity Square, at the heart of NMAH’s second floor transformation, is where history will inspire you to participate—in the museum and in civic life. At the heart of Unity Square sits one of the Museum’s treasured artifacts, the Greensboro lunch counter. Racial segregation was still legal in the United States on February 1, 1960, when four African American college students sat down at this Woolworth counter in Greensboro, North Carolina. When the students politely asked for service at this “whites only” counter, their request was refused. When asked to leave, they remained in their seats. Their sit-in drew national attention and helped ignite a youth-led movement to challenge racial inequality throughout the South. 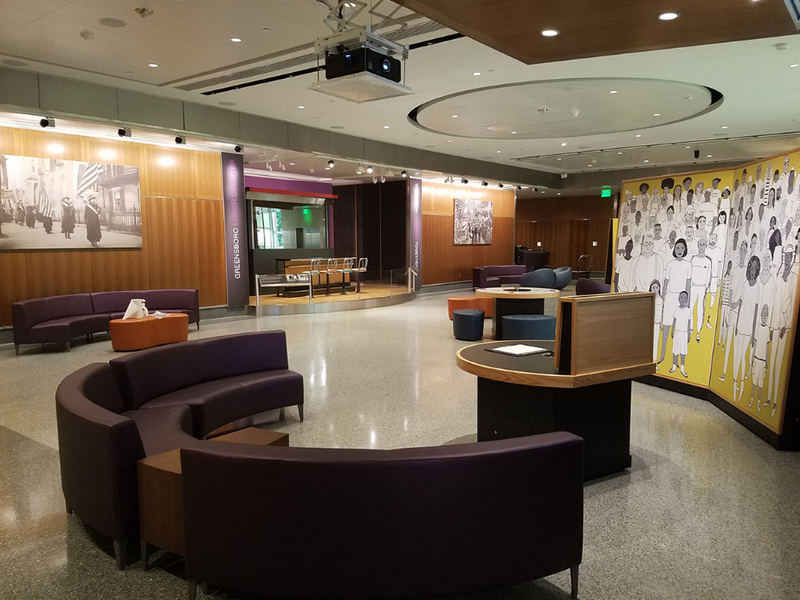 A new interactive theater program, “The Nation We Build Together,” brings the story of the lunch counter to life several times a day. Unity Square is also home to American Experiments, a set of activities that invite you to explore, play, and connect with the people around you. Four experiments bring to life the themes of the surrounding exhibitions—participation, commitment, negotiation, voting, protest, and pluralism. You’ll reflect on the history of the nation we build together and consider your own role in creating the nation of tomorrow.